Avesta Housing will open 45 new housing units, including 36 earmarked for buyers with a household income of $23,000 to $49,000. Bayside Anchor, built at a cost of $7.8 million at 81 E. Oxford St., will be a mixed-use passive-house building in the East Bayside neighborhood of Portland. 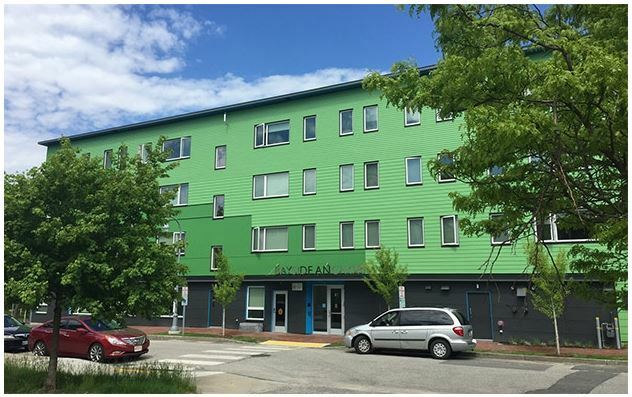 Avesta, a Portland nonprofit with 2,000 apartments in its portfolio, partnered with the Portland Housing Authority on the project, which will be unveiled on June 7. “Bayside Anchor is a service hub for low-income residents in East Bayside, giving the project its name as a stabilizing ‘anchor’ for the community,” said PHA Executive Director Mark Adelson. It is the PHA’s first new development in 45 years and a “first step in revitalizing our properties in this neighborhood,” Adelson added. PHA buildings house 6,500 residents, or 10% of the city’s population.